Fit Wanderlust Runner: Treadmill Sprint Workout to Start the New Year Right! 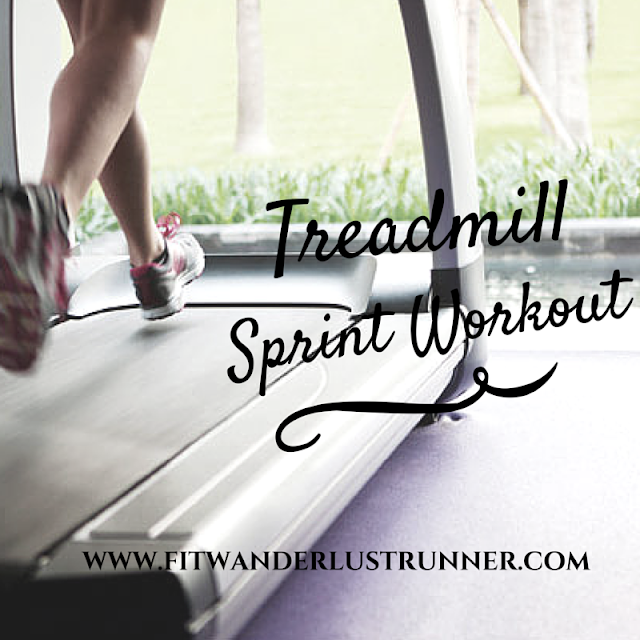 Treadmill Sprint Workout to Start the New Year Right! It's crunch time for me with my half marathon training. I am still trying to get a few speed workouts here and there to see if my feet can handle it and to see if I can shave off maybe a few more seconds off my pace. The last two days at the gym I've being doing some more interval training on the treadmill. The first day, time went by super quick because I happened to be watching Friends on Netflix. Before I knew it I was done! Yesterday I ran with just music and even then the workout flew by. Maybe I am getting better at running on a treadmill. Maybe I just really needed to watch a good show or listen to a great playlist. Who knows, but I do know that this little workout definitely made my legs work and feel sore afterwards. Of course this workout is geared to my pace and speed, You are more than welcome to adjust to whatever speed you'd like. I know that there are way faster runners out there and new runners that are just getting their feet wet. 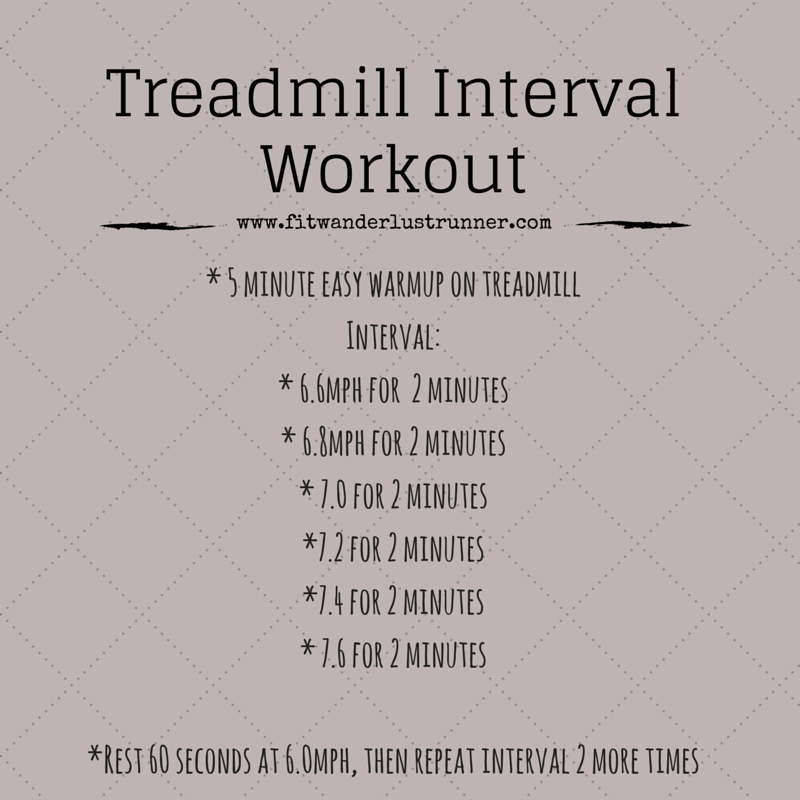 The basic gist of this workout is to start at a comfortable pace and increase by 2 every 2 minutes. It pushes you to see what that higher limit is for you and it trains you for negative splits. Don't know what negative splits are? Check out my post on running terminology. After each workout I was able to do a little over 3 miles each time. It was enough to get the blood flow going and to get those endorphins! I remember when I first started running on the treadmill; the thought of going 6.0 miles per hour was torture. My legs would get so tired just thinking of it. Incredibly happy to see all of my hard work is starting to pay off. So if you are just beginning, just know that your endurance does build up. Don't lose hope. I am hoping to eventually start my comfortable pace for this workout at 6.8mph instead of 6.6mph. You'd be surprised how that little extra jump makes a world of difference. What have been your go to workouts lately?